The Departure of the ‘Fifth Beatle’: The Passing of Sir George Martin – Ouch That Hertz! The music producer was not always as popular as a figure as they are now; the producer did not always have his name attached directly to his work, with them as the main artist. The role of the producer has evolved, becoming a nearly coveted title, and for some producers, they have waitlist for artists that want to work with them. However, one producer helped change the course of music immensely, and redefined the ideals and sounds of pop music. His name was Sir George Martin and he joins the list of exceptional musical talent that we’ve lost this year. Sir George Martin passed away in his home this past Tuesday. He was 90 years old. Martin is most known for his work with The Beatles, producing “Hey Jude”, “A Hard Day’s Night,” and so many more. 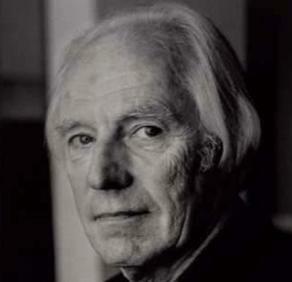 Sir George Martin was born on January 2, 1926 and from a young age was interested in music, having his own little band in his youth, and at 17 enlisted in the Royal Navy, but never went to war. Upon his return to civilian life in 1947, he entered Guildhall School of Music and Drama to study piano and oboe. For a short time, Martin worked with BBC until he joined EMI Records, and then he moved to their Parlophone label, a sub label within the larger entity. On June 18, 1962 when EMI signed the The Beatles the whole label would undergo massive changes, and unlike many producers, Martin was more open and allowed the band to be more experimental and write their own music while giving guidance and crafting the tracks into not just music, but art. When The Beatles broke up, Martin continued to work with other artists, and even working once again with one of the members of The Beatles, Paul McCartney on the track “Live and Let Die”. Throughout his career, he won almost every music award that could be given, and 23 of his produced tracks premiered at No. 1 on the US charts and 30 appeared in the UK. Martin was officially knighted in 1996 and in 2002 he was the music producer for Queen Elizabeth’s Golden Jubilee. In 2009, he officially retired from music after working on one final project with his son “Beatles Love”.